Your date of birth, the first street you lived on, and the name of your first pet are all someone might need to gain access to not only your online accounts, but even your credit information. 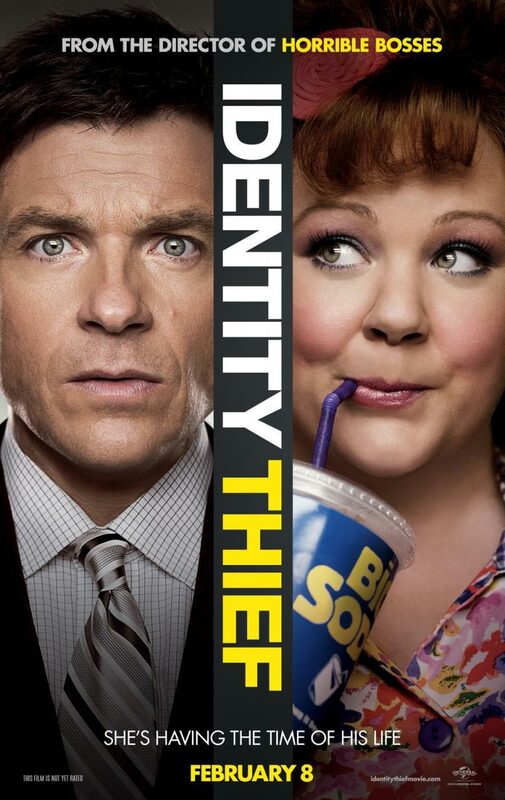 Thankfully, Identity Thief is much more fun than identity theft, but it could be much more fun to watch if only it did not conceal this serious issue that can destroy families. 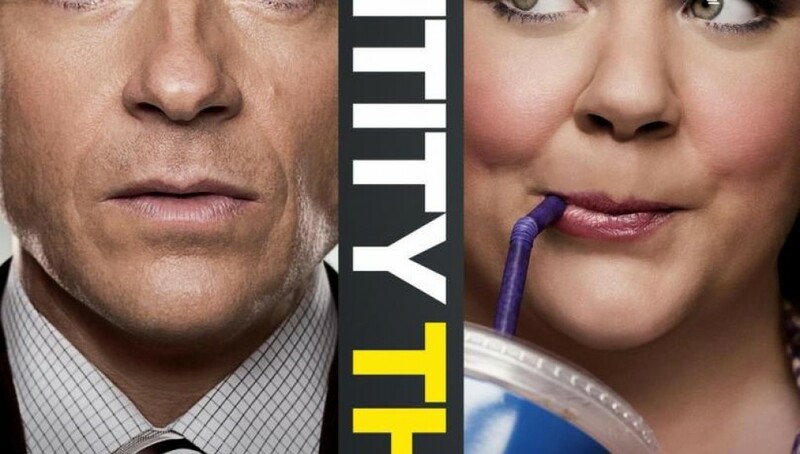 In Denver, Sandy Patterson (Jason Bateman) answers what appears to be a routine phone call to protect against identity theft, which is actually the moment in which his identity is effectively stolen by Diana (Melissa McCarthy). Using Sandy’s identity and credit, Diana splurges at a local Winter Park bar where she is over-served and eventually arrested for public intoxication. Her actions affect Sandy’s ability to maintain employment at his new firm where he serves as VP, and he is arrested for failing to show up at a court date he never knew about an arrest at a place he has never been to, and is simply the beginning of a Catch-22 downward spiral. Identity Thief is essentially a tale of two Sandys, one who has had to live with the common jokes about his feminine name—“What about Sandy Koufax?” he says—and the other who uses this namesake to cloak her malicious intentions. Sandy, the real one, has always been a chump. At the beginning of the film he is responsible for internal accounts at a large accounting firm, where his boss fails to learn his name, but is commanded to cut bonus checks for all the top dogs of the company. Other mid-company employees, also aware of the superiors disinterest in spreading the company’s wealth to other employees, invite Sandy to join their new firm and even serve as VP. But Diana’s sly criminal activity puts Sandy’s credit, both economic and moral, on a high-wire. Identity theft is an increasing criminal activity, and like Sandy’s inability to pay bills and his arrest for a crime he personally did not commit, it affects families while the suspect runs wild. It is a product of a modern economy where human physicality is trumped by numbers, which are much easier to duplicate and exploit. A stolen laptop or a simple hack could render millions of people vulnerable, or where social engineering can target specific individuals like what happened to Sandy. Victims have to completely rebuild their lives, their credit, and change their names. They must perform all the actions as if they were in a witness protection program, except they never wanted to give up the life they earned and the names that were lovingly given to them. It does not take long to recognize Diana’s dubious intentions are a product of a rocky childhood, and her materialism and spending gives her a chance to surround herself with subsidized friendship. This symptom offers a sympathetic charm that becomes stronger as Sandy and Diana form a bond while traveling back to Denver. It is the effect of a well-constructed story where two unlikely characters become friends, despite their similarities and differences, and are both under the threats of legal and illegal bounties. That context is too heavy for a buddy road film such as this, where two seemingly disparate characters are stuck together for a journey to prove Sandy’s innocence. Identity Thief completely hides how this criminal activity affects hundreds of thousands, but it is so easy to forget with McCarthy’s zany, over-the-top physical comedy, which she is so fully committed. This is her first starring role after her show-stealing supporting role in Bridesmaids. Bateman dons his typecast persona as a loveable but timid straight man trying to raise a family by counting his pennies and cents; he is an accountant after all. Identity Thief Director Seth Gordon’s King of Kong: A Fistful of Dollars (2007) was a captivating documentary about the battle for the highest score on the famous Donkey Kong arcade game. Since then, he has split his time between feature-length comedies such as Four Christmases (2008) and Horrible Bosses (2011), television comedies, and the documentaries, including a segment on Freakonomics (2010). Here, Gordon explores much of the same maliciousness that he tackles in Horrible Bosses but with unwelcoming characters in both executive white collar positions and in the low criminal shadows. It exemplifies Gordon’s stories where the straight characters are chumps that tend to always be subjected to the middle where they are continually stuck. While not predictable, the film tends to be exactly what you expect with the two leads: constant rapport between typecasts known for their specific characteristics, and the film leans on those specifics so heavily. The gags are present and adequate, but what they tend to cover up is a serious issue that destroys families and certainly never brings the victim and the suspect together.